Renowned amongst her peers for her expertise in management and governmental affairs, Susan Porter Rose was granted the opportunity to serve in a number of high-profile positions over the course of her career. She started out as a staff assistant to Congressman Richard L. Roudebush in 1963, but left a year to become the assistant dean of George School in Bucks County, Penn. Ms. Rose served in that capacity from 1964 to 1966, after which she joined Mount Holyoke College in South Hadley, Mass. Her success in these roles led her to be selected as the assistant director of correspondence to former First Lady Pat Nixon in 1971, and to be promoted to director of scheduling to the former first lady in 1972. When Ms. Nixon left office in 1974, Ms. Rose was offered the chance to stay on staff in the same role to former First Lady Betty Ford, which she accepted. In 1977, Ms. Rose advanced again, this time to the position of special assistant to the assistant attorney general in the Office of Improvements in Administration Justice, and in 1978, she became the special assistant to the deputy assistant attorney general of the Justice Management Division of the U.S. Department of Justice. She proceeded to serve as the chief of staff to Barbara Bush from 1981 to 1993, throughout her stints as both first lady and second lady. During that time, Ms. Rose also worked as the assistant to the U.S. vice president and the department assistant to the U.S. president. For the remainder of her career, from 1993 to 1998, she worked as the commissioner of the U.S. Commission of Fine Arts. ​Despite Ms. Rose’s busy and demanding schedule, she often found time to put her skills to use in her community. 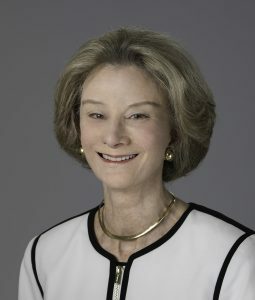 She participated in the Yale Global Alumni Leadership Exchange program in 2009 and 2008, with the latter being the program’s inaugural year, and was a member of the board of directors for the Barbara Bush Foundation for Family Literacy from 1993 to 2002. Further, Ms. Rose was the president of the alumni association at Earlham College between 1978 and 1981, a member of the alumni council at Earlham College between 1975 and 1978, and a trustee of the Bush Presidential Library. Over the years, Ms. Rose has received a number of accolades for her efforts. She was the recipient of the Distinguished Alumni Award from Indiana State University in 1991 and from Earlham College in 1992, and of an honorary degree from the Rose-Hulman Institute of Technology in 2002. Further, she was honored with inclusion in 20 editions of Who’s Who in America, 11 of Who’s Who in American Women, nine of Who’s Who in the World, and three of Who’s Who in Finance and Business. Ms. Rose prepared for her illustrious career by earning a Bachelor of Arts from Earlham College in 1963, a Master of Science from Indiana State University in 1970. She also became a member of the Indiana Academy. When Ms. Rose has free time, she enjoys spending time with her husband, Jonathan, and her son, Benjamin.